Written in a series of quick, curious moments, The Imagination of Lewis Carroll is a fabulist biography that eschews sense for nonsense and accuracy for truth. A logic instructor at Christ Church College, Lewis Carroll was a man who tied knots in words and stared at chessboards, a man who stammered before adults and soared in front of children, a man who lived in a world that was not our own. But Carroll didn’t live in Wonderland or the Looking Glass—he lived in a world far more bizarre and far more lonely. This novella-in-flash straddles Carroll’s double life, where he teetered precariously between fantasy and reality. William Todd Seabrook’s spare but vivid stories invite readers to experience the world as Carroll did—down the rabbit hole of imagination. 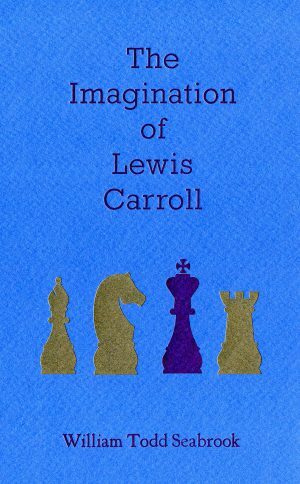 «The Imagination of Lewis Carroll is a work of stunning and sudden science fiction, a book not about an alien world or other dimension or alternate time but a book from such a world, dimension, and time. This is a gutsy book as it confronts the exhilaratingly convoluted quagmire of high Victorian nonsense with a minute poacher’s spade shaped from a sterling coffee spoon. William Todd Seabrook grew up in Cleveland, Ohio, received his MFA from the University of Colorado at Boulder, and is currently a PhD candidate at Florida State University. 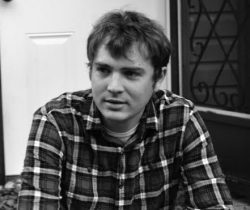 His work has appeared in Tin House, Mid-American Review, PANK, CutBank, Quiddity, New Ohio Review, and 30 Under 30: An Anthology of Innovative Fiction by Younger Writers. 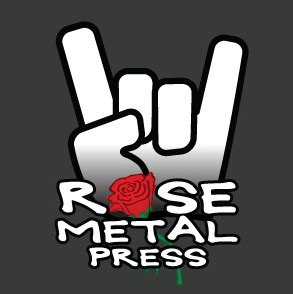 Mud Luscious Press published his chapbook This Semi-Perfect Universe in 2011. His second chapbook, The Genius of J. Robert Oppenheimer, won the 2012 Firewheel Editions Chapbook Contest, and his third chapbook, The Passion of Joan of Arc, won the 2014 421 Atlanta Chapbook Contest. Visit his website here.